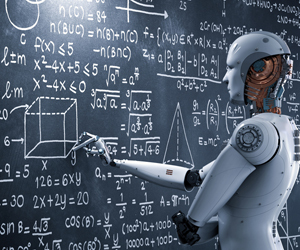 In the last few years, artificial intelligence has created a lot of innovation across sectors especially bringing a new dimension in the education sector. It has played a huge role in revolutionising and reshaping the education industry and will bring a significant amount of transformation in the coming years. With this digital development, the education sector is deploying AI and machine learning (ML) to develop effective education delivery in schools as well as in the higher education sector. Considering the higher education sector, with AI capabilities, effective systems and algorithms can accurately and speedily assess a person’s speech or samples of their writing for language proficiency exams. For instance, the Pearson Test of English (PTE Academic) is a 100% computer-based test. It is both taken on and marked through the computer, using cutting-edge test design and automated scoring technologies to evaluate the skills, knowledge, and aptitude of the test takers. Universities worldwide have seen a constant rise in the number of Indian students enrolling for a degree away from their home country. And English language proficiency tests play a critical role in realising the educational and professional aspirations of millions of students internationally. Aspirants look for a language proficiency exam which can score their language skills impartially. Computer-based language proficiency test can ensure that all test takers are treated fairly and scored accurately. To enhance the evaluation process, usually done in a standardised manner, education researchers are increasingly integrating new-age, intelligent technologies with the existent test grading systems. Implementation of AI and machine learning in education can help create skills and constructive testing systems. It can drive efficiency and can evaluate the proficiency level of the aspirants. Many of the challenges of proficiency tests, much like those of standardised tests, can be easily addressed by appropriate application of AI. Quantifying the student’s knowledge on various subjects through a set of objective-type questions, these tests have already been using some aspects of AI in the most basic form. Now with education technology rapidly evolving, these tests are becoming further efficient by combining advanced techniques of machine learning, natural language processing, and data analytics. As opposed to generating and displaying numeric scores based on student performance for one-time tests, some learning software is employing AI tools to record responses over time. Others are leveraging AI capabilities to not just evaluate the current abilities of the students, but also assess strong learning areas and identify skills which need improvement individually for each test-taker. AI-driven education also finds application in test preparation, by delivering highly customised preparation modules based on personalised inputs and a vast digital bank of knowledge, condensing learning material so that students can utilise their time sensibly. As an extended application of the above concept, the new and improved English Proficiency platforms will not just test the student’s language skills but also walk them through the test-taking process, ultimately improving their scores and creating greater possibilities for their student enrolment or recruitment abroad.